Panch Kedar temples placed in the mountain range of Tunganath in Rudraprayag district. Panch Kedar temples placed in the mountain range of Tunganath in Rudraprayag district. Placed at a height of 12,073 ft, and Tungnath temple is believed to be 1000 years old and is the 2nd in the pecking array of the Panch Kedars. It has a rich legend connected to the Pandavas, heroes of the Mahabharata Epic. As a part of the mystical Garhwal region, Tungnath invoke the profiles of famous tales and plentiful beauty. It is believed that it was here at Tungnath that the hands of Lord Shiva came in to rest while he tried to diminish from the Pandavas. And it is as well believed that the current temple is built by the Pandavas to appease the Lord. The place boast of a tranquil and religious ambience where one can feel the attendance of the almighty. Along with its deep religion, Tungnath is all set to charm the guests with its attractive and peaceful environment. A pleasant haven for trekkers, this destination unravels the unmatched loveliness of the Garhwal landscape. One would be overjoyed with the exciting surroundings of a gushing flow, which looks as if it were come down straight from the paradise. 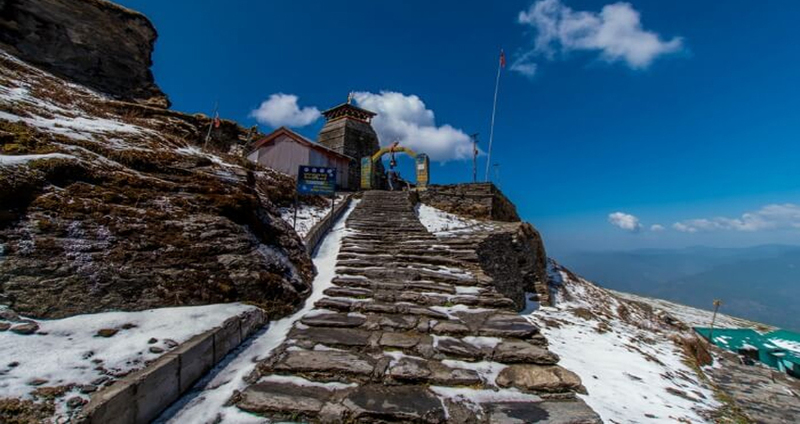 Place to visit Tungnath is Chopta; to be found on Gopeshwar-Ukhimath road at an elevation of 2900 m. It is about 4 km distant from Tungnath and is the most important destination for trekking to Tungnath. And another place to visit at an elevation of 2387m, Deoria Lake is positioned on Ukhimath-Chopta road. The lake is bounded by snow cap hills of Chaukhamba range. Deoria Lake is magnetism for trekking fans and for one who loves camping. 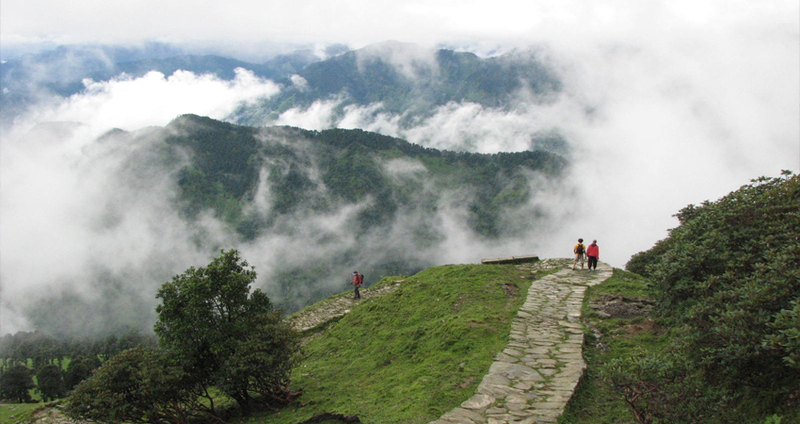 And one more place to visit is Kanchula Korak Musk Deer Sanctuary is a thick forest, located approximately 7 km from Chopta. The sanctuary is extending over 6 square kilometers. 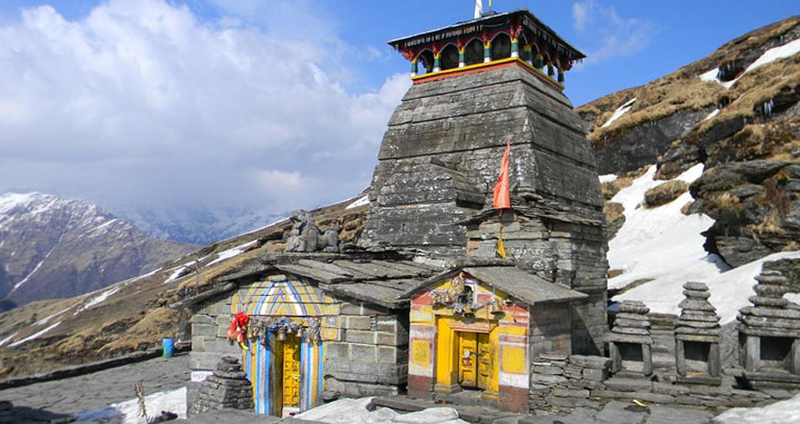 Tungnath temple opens throughout summers, and it is the perfect time for pilgrims. Snow also melts by this time and peaks are caped with a verdant green cover. The monsoon in Tungnath is characterized by very little rainfalls. This is a best time for visiting the attractions as the hills turn into very eye-catching in the rains. The spot receives heavy snowfall throughout winters. Winters are unbearably cold, and the roads are also blocked. The standard temperature ranges approximately 4 degrees Celsius while the least temperature can reach sub zero levels. The accommodation alternative in Tungnath is awfully limited. 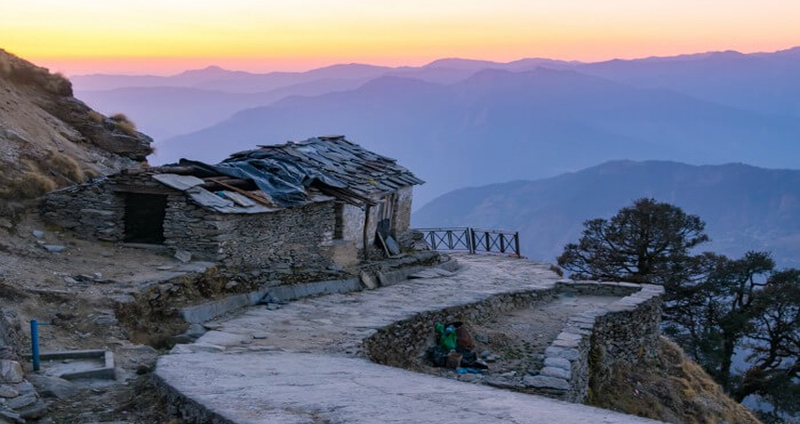 There are not many guest houses in Tungnath, providing all the essential amenities and facilities but are open regularly from April to November after the snow has melted. : By Road : Buses run frequently to and fro from the neighboring cities and states to Chopta. If you are traveling from Delhi to Chopta, you have to cover a distance of almost 448 km on road and left over 3.5 km on foot till Tungnath. 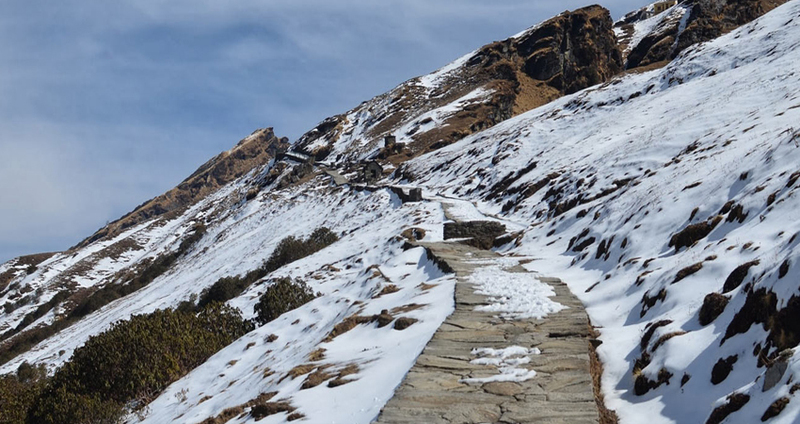 The trek from Chopta to Tungnath can be simply covered in 2-3 hours. By Train : The nearby railway station to Tungnath id Haridwar which lies at a distance of 225 km from Chopta. Taxi or buses are obtainable outside the station till Chopta from where the trip starts on foot. Tungnath can be reached by the Kund-Gopeshwar road. By Flight : Jolly Grant Airport is the nearby airbase to Tungnath almost 260 km left. Once entered Dehradun, take taxi or bus till Chopta. From there start the trek of nearly 3.5 km to Tungnath.